Welcome back to another weekly meal plan post. 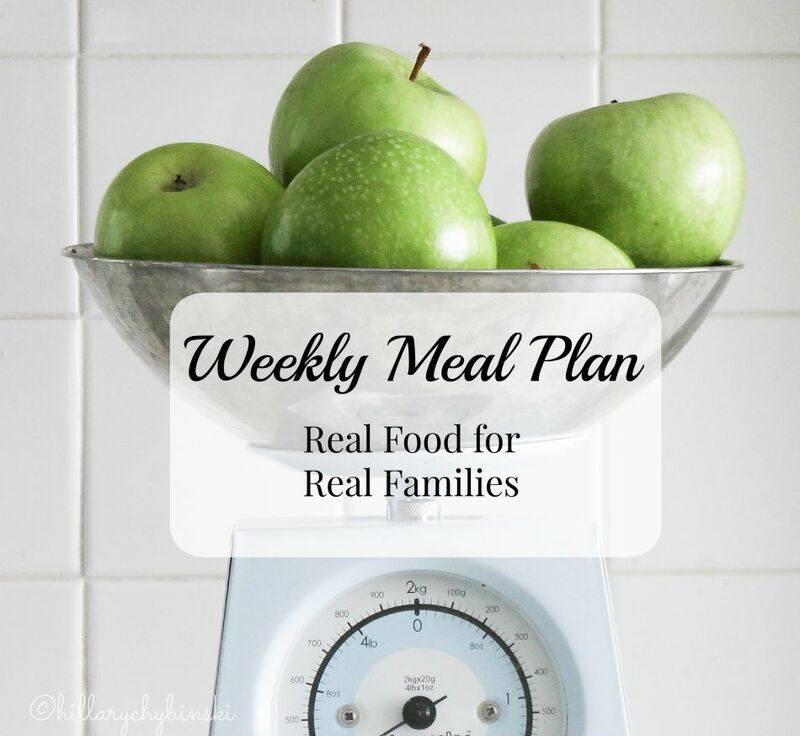 Each week, I share the real food dinners I am planning to make for my family throughout the week. It's real food, for real families. If you checked out last week's meal plan, we skipped the fritatta, but the Pork Tenderloin and the Sausage and Peppers were both winners! This week we have a pretty laid back week on tap for a change. The boys are in camp each day, and John and I are working. The weather looks not too terribly hot, so I have a combination of in the kitchen meals and on the grill meals planned. Depending on how things shape up, the order may get switched up. This post in linked up to I'm An Organizing Junkie. 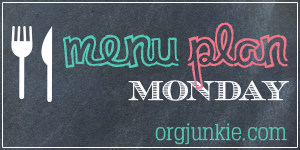 Be sure to check it out for even more ideas and inspiration for planning you family meals. Hillary, I have never tried grilling romaine, but now I must. I love you menu for the week. It is so hot where I live that I just can't think about spending much time cooking. I found you from OrgJunkie and stopped by to say hello. I really need to start menu planning. I have to get organized this year, and I'm trying to be more mindful of what we eat.